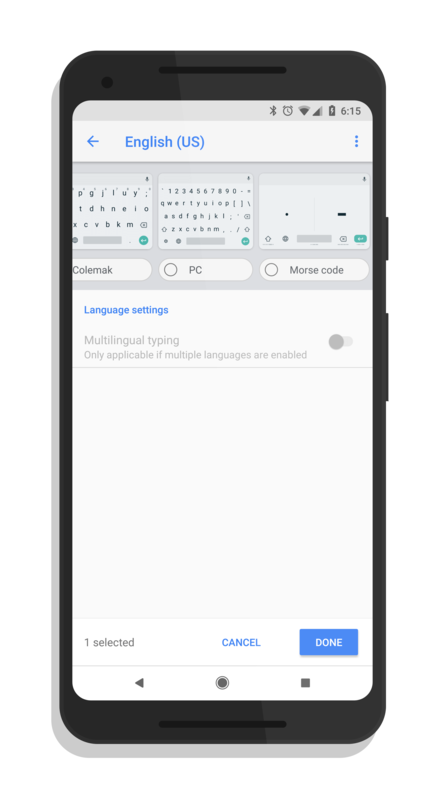 First, I should note that the Morse Keyboard in Gboard is only available in US English so all of my steps and screenshots are assuming that you are using that language as your keyboard language. Step one in this is to open up the Gboard settings. You may have to go to Settings>System>Languages & input>Virtual Keyboard>Gboard to get to this. Conversely, if you enabled the setting in the app to show up in your app drawer, you can just find it in amongst your apps. To enable this, and to make your life easier, in the Gboard settings, go to Advanced>Show app icon and enable it. Now that you are in the app’s settings, the top item is Languages which you should see English (US) (QWERTY) as the default keyboard. Tap on the Languages section where you will see all of the languages you have installed for the app. At the bottom, there is a big Add Keyboard button. Tap it. 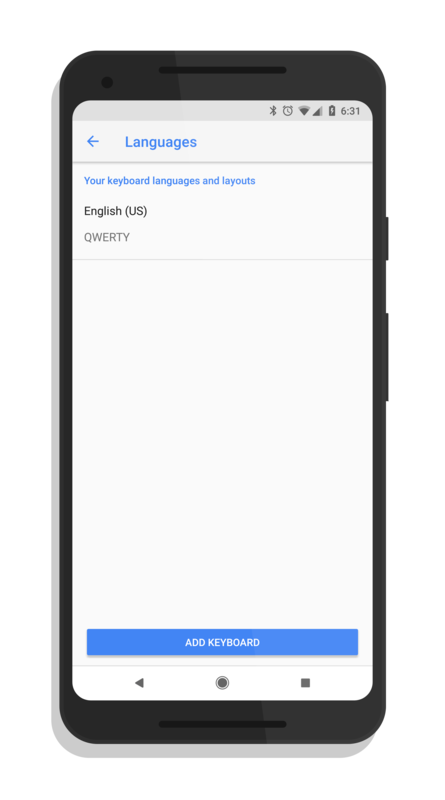 The next page will display all of the languages that are available to you in Gboard. For this How To, you just need to tap the English (US) language which should be at the top. This will open up a page that shows you all the keyboard variants that are available to you in a top carousel. 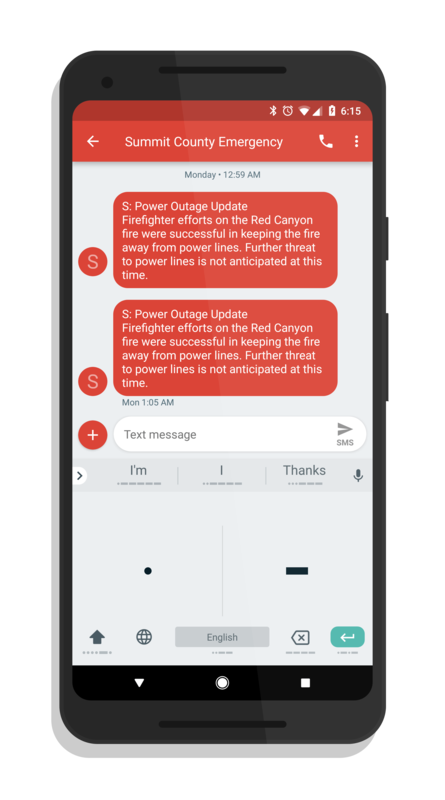 Swipe over to the very end of this carousel and you will see Morse Code. Tap it, it will be highlighted, then tap Done at the bottom of the screen. That’s it. You’ve added the keyboard to your device. Now how do you get to it? Go to an app where you need to type (or just Google Search on your Home screen). When the keyboard opens up, you will see a globe icon next to the space button on the keyboard. Tap it and you will be changed into your new Morse Code keyboard. To go back to your QWERTY keyboard, just tap the globe icon again. It is pretty slick and easy. For more How To’s, head over to the Tips & Tricks section of the site. There you will find tips for Android, Chrome OS, Windows and yes, even a few old Windows Phone tips.